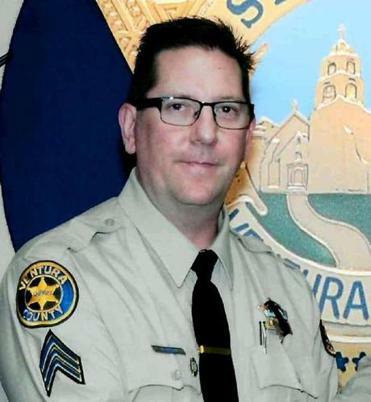 People cried as a law enforcement motorcade escorted the body of Ventura County Sheriff&apos;s Department Sgt. 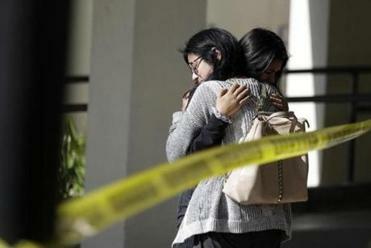 Ron Helus from the Los Robles Regional Medical Center in Thousand Oaks, Calif., on Thursday. 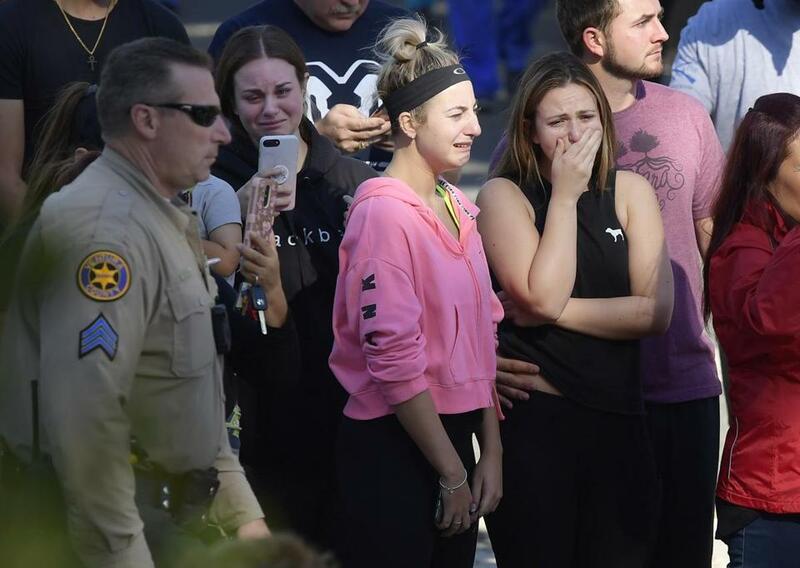 Dressed all in black with his hood pulled up, the gunman apparently took his own life as scores of police converged on the Borderline Bar Grill in Southern California. 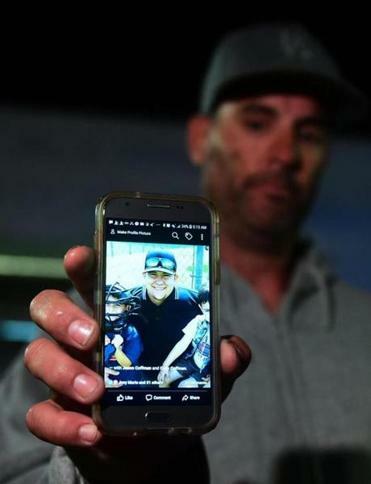 Jason Coffman displayed a photo of his son, Cody, who died in the shooting. ‘‘Oh, Cody, I love you, son,’’ Coffman sobbed. Tom Hanson, 70, who lives next door to Long and his mother, said Thursday that he called the police about six months ago when he heard ‘‘heavy-duty banging’’ and shouting coming from the Longs’ home. ‘‘I was concerned because I knew he had been in the military,’’ he said.